As humans, jurors develop an opinion about a witness within the first 30 seconds of seeing them. Decades of research in social psychology illustrate the surprising power of first impressions. From contexts as diverse as evaluating classroom teachers, selecting job applicants, or predicting the outcomes of court cases, human judgments made on the basis of just a “thin slice” of observational data can be highly predictive of subsequent evaluations. The term thin slice comes from a frequently cited article by Ambady and Rosenthal (1993; see also Allport, 1937; Funder & Colvin, 1988; Gladwell, 2005; Goffman, 1979), who had college students evaluate 30-second silent video clips of instructors teaching a class and found high correlations between those evaluations and end-of-semester ratings of the same instructors by their respective students. This result was replicated with high school teachers and even thinner slices of video (as short as 6 seconds for each instructor). In other words, students made a decision about a teacher by watching a 30-second video clip and then kept that opinion throughout the semester. Thin slices of behavioral data have been shown to predict a broad range of consequences, including therapist competency ratings (Blanck, Rosenthal, Vannicelli, & Lee, 1986), the personalities of strangers (Borkenau, Mauer, Riemann, Spinath, & Angleitner, 2004), and even courtroom judges’ expectations for criminal trial outcomes (Blanck, Rosenthal, & Cordell, 1985; for reviews, see Ambady, Bernieri, & Richeson, 2000; Ambady & Rosenthal, 1992). 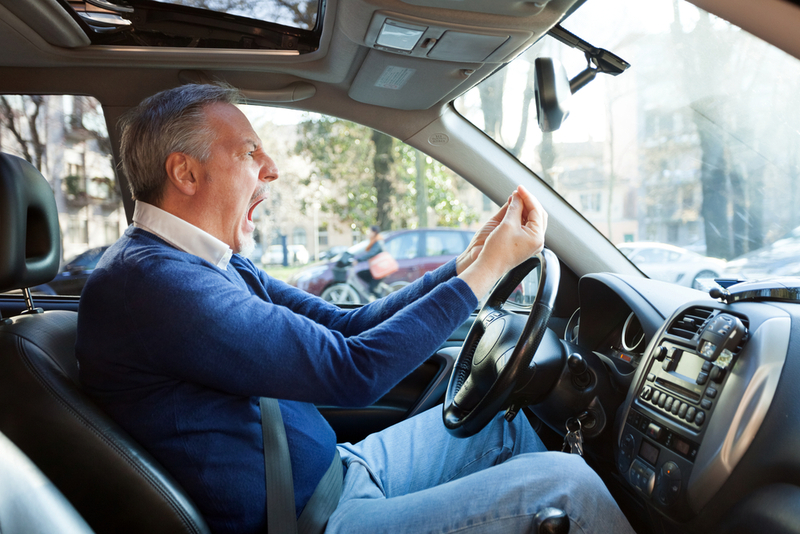 Think of it this way: is it more persuasive to say “Bill is an angry driver” or to show the jury a video of Bill driving? Opening statements are difficult. It is the attorney’s first opportunity to introduce themselves, their clients and their theory of the case. If not careful, an attorney’s opening statement can become bogged down in details, lengthy excerpts from depositions and, frankly, nuances that bore the jury to sleep. Instead of reading what a witness is expected to say, show the jury video clips of the witness’ discovery deposition. This allows you, as the attorney, to make the true first introduction of a witness in a manner which is likely to cause the jury to form an opinion of the witness. This is an incredibly powerful tool and one that attorneys must utilize as the Millenial Generation becomes the dominant presence in your jury pools. If you are not using visual media to present your case, you probably are not winning. 10:00am – Multi-witness depositions in Cincinnati, Ohio. Videographer without court reporter. 10:30am – Independent Medical Exam in Lexington, KY. Parties had numerous stipulations that required a very experienced videographer. Noon – Realtime deposition in Lexington, KY with videographer and court reporter. 1:00pm – Medical malpractice deposition in Louisville, KY with videographer and court reporter. 1:00pm – Nursing home case in Louisville, KY with videographer and court reporter. 2:00pm – Boating accident case in Louisville, KY with videographer and court reporter. There are not many court reporting companies in the US, let alone Kentucky, who can cover seven unique video requests across several cities with in-house staff in such a short amount of time. There just are not that many trained legal videographers. That is why Kentuckiana Reporters focuses on training our staff in accordance with the principles outlined by the NCRA’s Certified Legal Video Specialist program. Our department is led by a CLVS and all of our in-house video team has begun the CLVS certification process. Again, this is not some mail-in certification but a year-long process that requires written and performance testing. We have the staffing, the experience and equipment to cover all of your deposition needs. We have heard many horror stories over the years from attorneys who used independent videographers. In one case, an attorney tried to locate a copy of a video prior to trial but the videographer had retired and moved out of state. No one ever found him and the video was lost. All of Kentuckiana’s videos are stored redundantly and in perpetuity in our secure facility. They are available immediately upon request, 24 hours per day. A single videographer who works from home will not be able to ensure a video’s long term availability. Our team of videographers and technicians have generated edited thousands of video clips for use at trial. By edit, we do not mean that we added background music or aliens. Attorneys are obligated to remove any objections or objectionable material from the video prior to showing them to the jury. You tell us what needs to be removed and we will deliver the admissible video in a ready-to-use format that is compatible with any trial presentation software in existence. Not everyone can say that and, if they can’t, you should not be using them. Trust Kentuckiana to provide regional and nationwide videographers for all of your depositions. We will follow-up and ensure that your video is properly stored, edited and ready for trial. Give us a call today and learn why our quality and low prices have made us leaders in the industry.